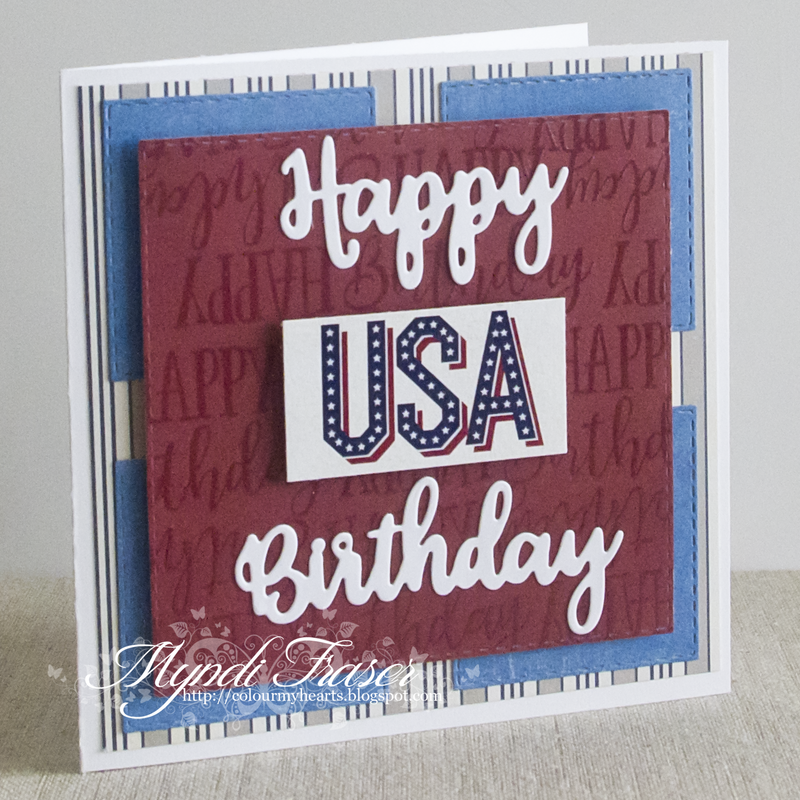 It's the start of a new challenge at Rubbernecker Stamps and the challenge this time is 4th of July. Being in Canada this was a little tough just because I couldn't find a good selection of USA theme paper. I found one sheet!! I had to be really creative with this card because there aren't any 4th of July stamps. I ended up using a Happy Birthday stamp from THIS collection and created a background with some VersaMark ink and clear embossing powder on the red paper. 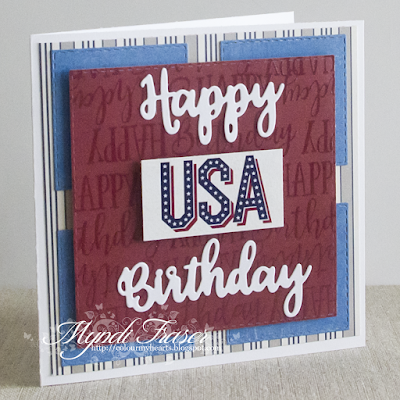 I used a Happy Birthday die and the "USA" is from the scrapbook paper I was able to find. I also used the "Nested Square Stitched Die Set" from Rubbernecker. I needed to make a Father's Day card for my husband, so how about killing two birds with one stone and doing one for my Week 1 inspiration at Rubbernecker Stamps! 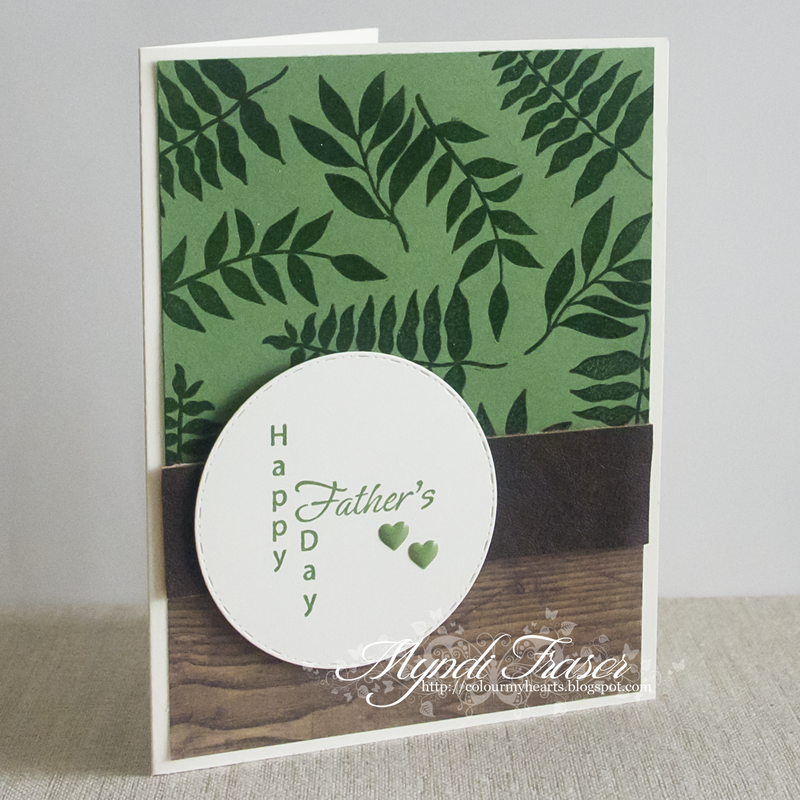 I used the new clear stamp set "Leaves" and the "Happy Father's Day" stamp. I used VersaMark ink with the leaves and heat embossed it with clear embossing powder. My wood grain paper is from Kaisercraft. The green paper, ink, and enamel hearts are from Stampin' Up. The faux leather band is from Bo Bunny. 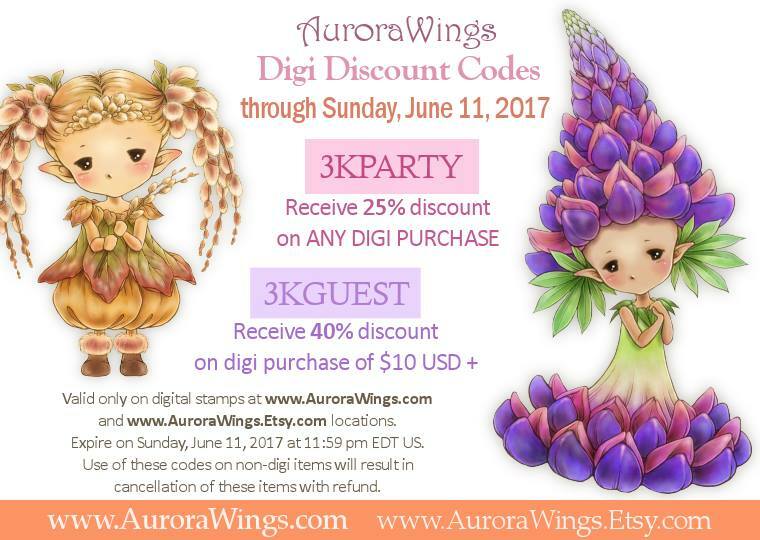 We've reached 3,000 members at the Aurora Wings Facebook group, and to celebrate we're having a party!!! 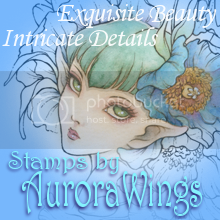 Mitzi has drawn up some beautiful images for a special showcase and I am sharing my creation with the new image "Lady Of The Sea", which is only available in the Aurora Wings digi shop. I coloured the image with Copics and kept the design simple to really showcase the image. And it took a lot of time to colour this whole thing! I printed it out at 5x7" because of all the detail and I wanted to do it justice. In addition, there are some coupon codes for the store!! Just click here!! It's time for a Summer Time Challenge at Rubbernecker Stamps. 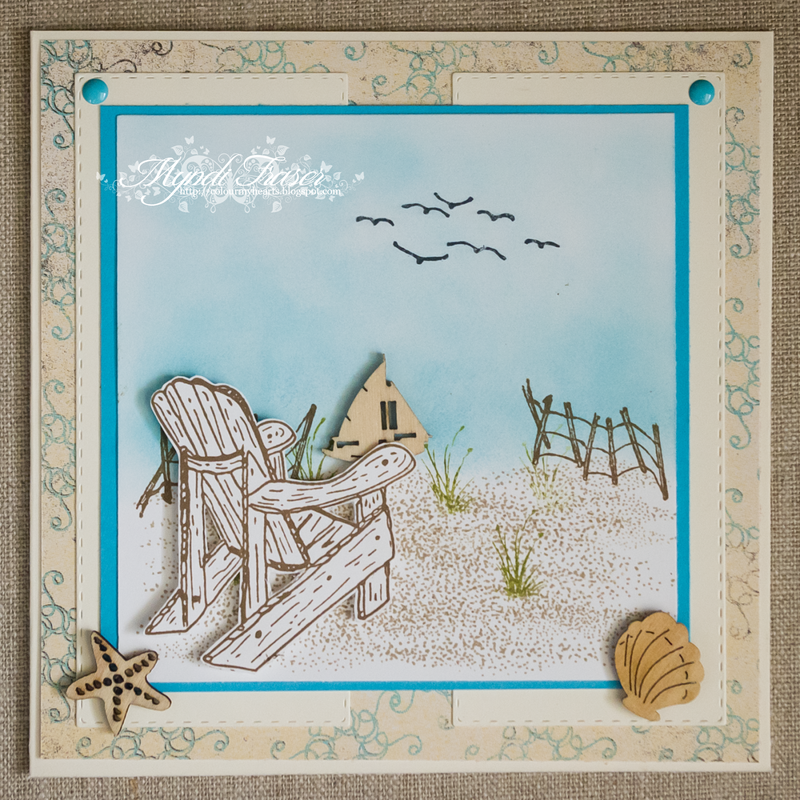 I created a little beach scene with the Beach Chair stamp and the Beach Master beach scene set. I fussy cut the chair out and put it on the beach scene with some foam tape so it pops up and has some dimension. I had some sea inspired chipboard in the shapes of shells and boats, and such. I added a little boat so it looks like it is sailing in the distance. I used Tim Holtz Distress Ink for all of my stamping, and Stampin' Up paper. 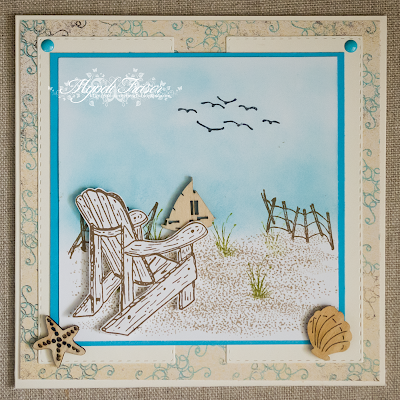 I really like this Beach Master stamp set. It is very versatile and a lot of fun to play around with. Happy Monday peeps!! 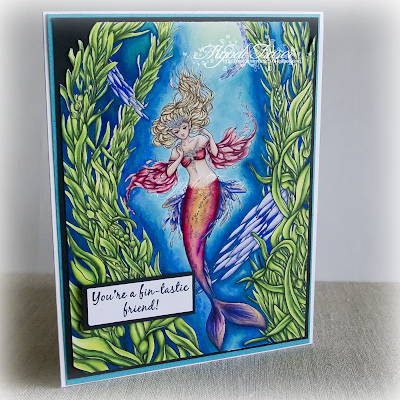 It's a new week and time for the beginning of another round of Team 1's gorgeous creations brought to you by Rubbernecker Stamps. 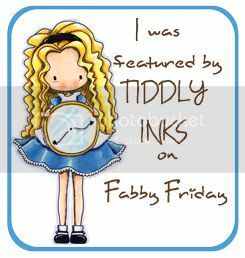 I love these little girl stamps from Rubbernecker. I have a couple and I think I'm going to have to get them all. The one I have used today is "Clover" along with the "Classy" sentiment. I also used the new Nested Square Die Set from Rubbernecker. It comes with EIGHT (8) dies. EIGHT!! And they're awesome! I coloured the image with Copics. All of my paper is from Stampin' Up. I added a little gold ribbon and heated some Frantage on some star shaped chipboard to finish it off. 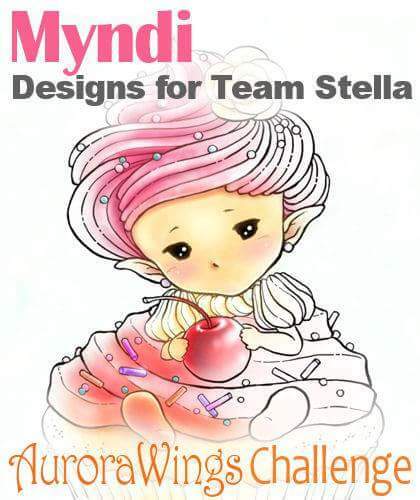 It's a "Celebration" challenge at Aurora Wings with some awesome inspiration brought to you by the Stella DT. 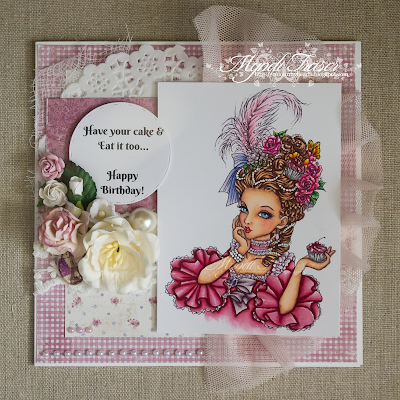 I have used "Marie Antoinette" for my birthday card. 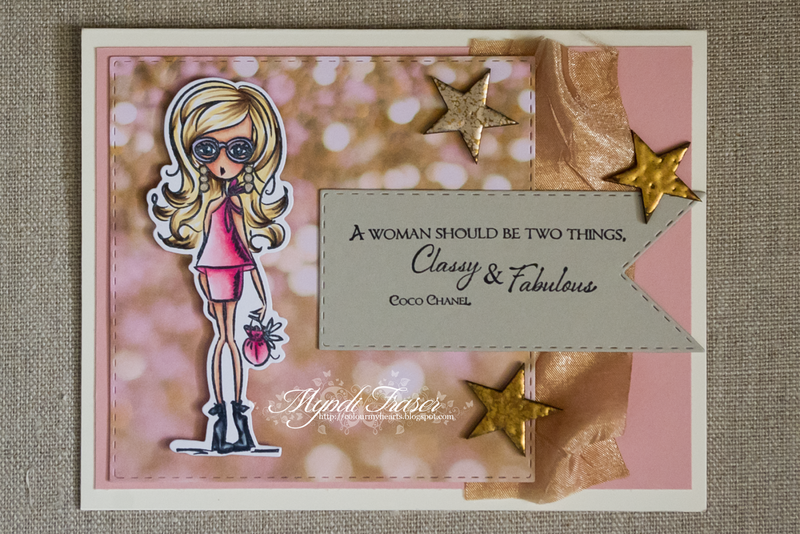 I went with a lot of pink for this card and made it very girly. I coloured the image with Copics, using the R80's to do her dress. My flowers are from Wild Orchid Crafts, the lace is from Live & Love Crafts. My DP is from Maja and is from the "Coffee in the Arbour" collection. The pearl string is from Kaisercraft. Pop on over to the challenge blog to enter your creation(s). You can enter up to THREE times if you use an AW image on each entry! 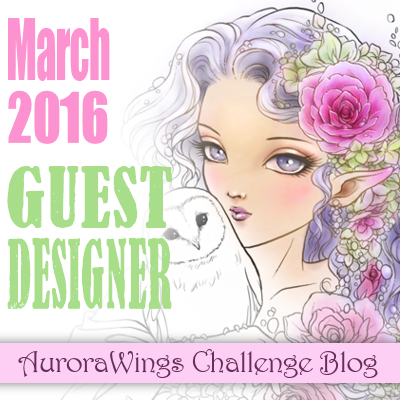 The prizes for this challenge are: 1 (one) Artist's Choice Award Winner to be selected from entries using Aurora Wings digis ($20 GC and Badge); 1 (one) Random Winner ($20 GC); and a TOP 3 Winners to be chosen by the DT ($10 GC and Badge). This challenge runs until June 19. There is going to be a 3,000 members celebration in the Facebook group June 9 & 10. 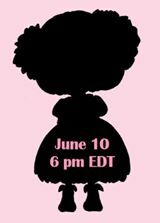 There will be some new release digis that will be showcased and they are beautiful! Make sure you pop in next weekend and check it out.